The strong colors of red and bright yellow defined a communistic branding that the masses were identified with. 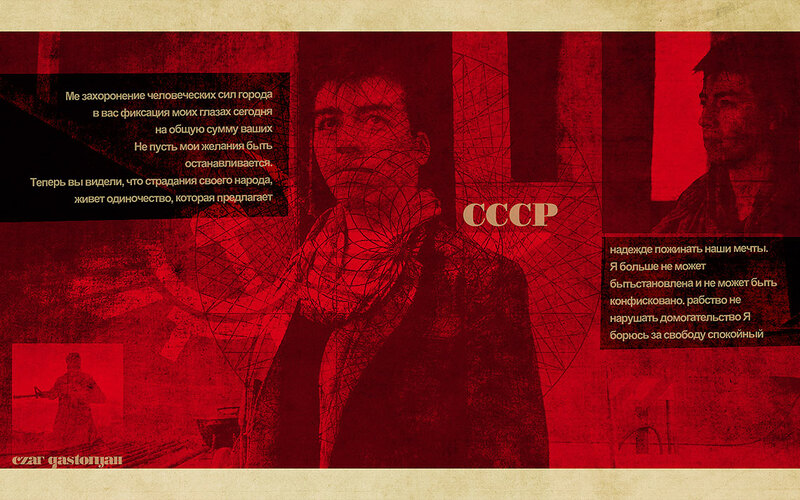 For my project inspired by the soviet movement of constructivism I reference those colors, cut out shapes, photography and mainly using the revolutionary theme of social equality. The art for the people movement targeted the whole soviet nation; they implemented graphic elements, typography and color in order to reach all the population. This was one of the most revolutionary art movements of the last century, and my admiration comes from the fact that what Rodchenko had in his mind after he left painting and move onto photography; was the conception of graphic design that we see today.